A Pool Academy student has been praised for her talents after performing at Port Eliot Festival and the Minack Theatre. Francesca Goff, Year 11, has had a busy summer wowing the crowds with her acting after taking to the stage with the Drama Express theatre company. The sun shone down on the thespians each time they performed the two short plays. One was about the patron saint of tin miners, St Piran, and the other was based on the Cornish explorer Richard Lander. Francesca played the part of Richard Lander’s wife, Frances. 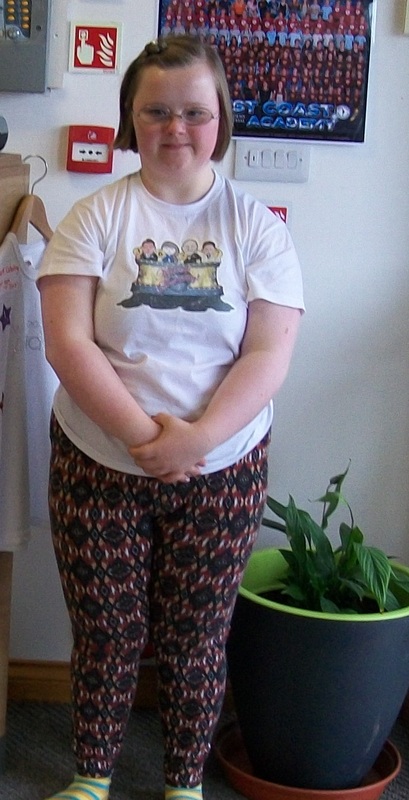 Simon Allison, Drama Express Coordinator, said: “It was absolutely amazing and Francesca was fantastic. She was really good. Mr Allison, who wrote the two plays, said it was the first time the theatre company had ever performed at Port Eliot Festival and the Minack Theatre. He said the plays were well received by the crowds at both venues. “I am definitely confident we will be invited back next year,” he said. Drama Express is a Cornish based project for people with disabilities who can get involved with acting, costume and other stage duties. The group meet and rehearse at The Hall for Cornwall in Truro. Mr Allison said Drama Express is becoming so popular there will soon have to be a waiting list for those wanting to join. He added more volunteers were always welcome to help out and should email dramaexpress11@yahoo.com for more information.